Tech companies love to work with fashion companies or famous designers to help make their products seem trendy or luxurious. Apple’s partnership with Hermes is a notable one, but this wireless charger from Buriti and Native Union takes that idea to the next level. For starters, there’s no denying that the leather-clad, Drop Wireless Charger looks interesting. Its worn yet premium style is pretty cool and helps this tech product stand out from the crowd. But, once you hear its price, it’s hard to look at it the same way again. 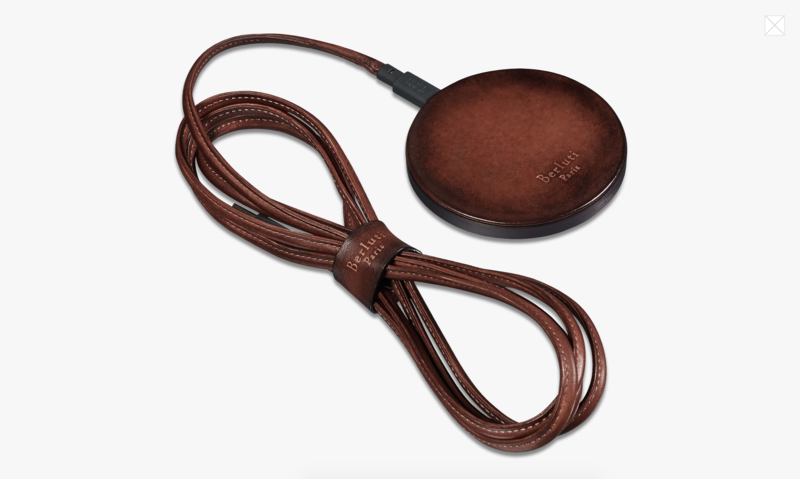 The leather charging pad costs $780 USD (roughly $1,040 CAD), which is $961 CAD more expensive than buying the $79.99 CAD Drop Wireless Charger without the leather addition. Basically, this tech product is so expensive it seems like the only thing worth charging on it is the first generation Gold Apple Watch that used to cost around $10,000 USD (roughly $13,354 CAD) when it was on sale.